Brindley Sherratt’s second article written for The Guardian. The British Bass Brindley Sherratt is one of the most respected singers in the world of Opera. He was born into a family of strong singers but initially studied trumpet at the Royal Academy of Music. After winning several opera competitions which he entered “for experience” he went on to study singing full time. He is now enjoying a busy international career. Notable career highlights have included Sarastro Die Zauberflöte at the Vienna State Opera, the Netherlands Opera and at Covent Garden; Claggart Billy Budd at the Aldeburgh and Glyndebourne Festivals, the BBC Proms, the Teatro Real in Madird and in New York at the Brooklyn Academy of Music; Arkel for the Oper Frankfurt and the Opernhaus Zurich; Sparafucile Rigoletto at Covent Garden; Rocco Fidelio at the Glyndebourne Festival; Bottom A Midsummer Night’s Dream at the Festival d’Aix-en-Provence; Doctor Wozzeck at the Lyric Opera of Chicago; Ochs and Pogner Die Meistersinger von Nürnberg for the Welsh National Opera; Filippo Don Carlo for Opera North and Pimen Boris Godunov and Fiesco Simon Boccanegra at the English National Opera. Highlights in Brindley Sherratt’s 2017/18 season include Ochs Der Rosenkavalier and Arkel in a new production of Pelléas et Mélisande for the Glyndebourne Festival. 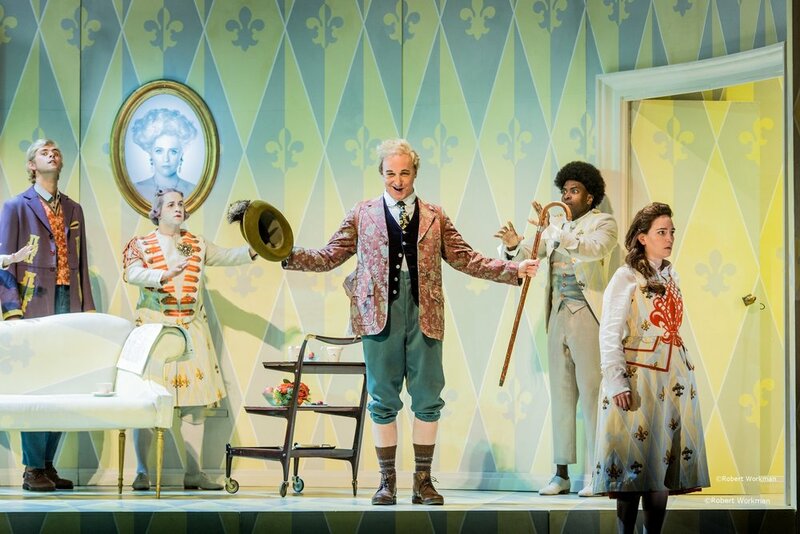 "Dramatically he is in his element"
''The bass Brindley Sherratt on a Glyndebourne summer"
"Our jury was bowled over by Brindley Sherratt @bassbrinbald who played Baron Ochs in Der Rosenkavalier @WNOtweet, and have placed him on the #RPSMusicAwards Singer shortlist!" JUST ANNOUNCED: Brindley will sing the evil Judge Turpin alongside Bryn Terfel and Angelika Kirschlager in a new production of Sweeney Todd by Andreas Homoki at the Opernhause Zürich in November 2018. JUST ANNOUNCED: Brindley will be performing the role of Fafner in Wagner's Der Ring des Nibelungen, and as John Claggart in Deborah Warner's new production of Benjamin Britten's Billy Budd. Just a few minutes left to say that I’m going to start working as a tenor. After the event but really enjoyed GSMD opera scenes on Tuesday. Some very classy singing/acting and clear simple staging. Bravo.